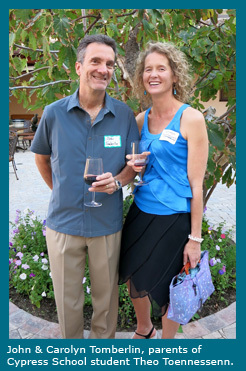 Celebrate OADS and UCP of the North Bay! 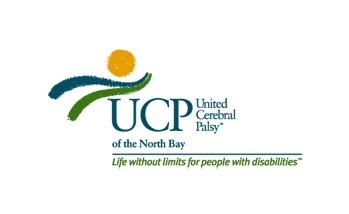 On November 1, Old Adobe Developmental Services (OADS) officially joins UCP of the North Bay. OADS has been offering employment, continuing education, and senior services to people with developmental disabilities for over 40 years. 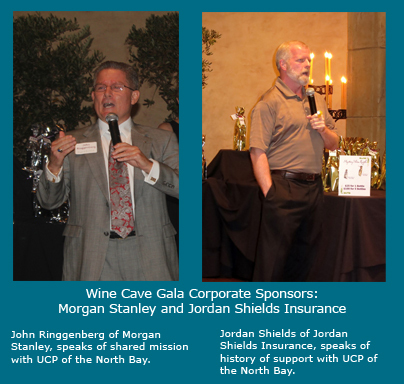 Joining UCP of the North Bay makes for over 90 years of combined experience! Please join the Petaluma Chamber of Commerce for an Open House and Ribbon-Cutting on Thursday, November 21, 2013. Bring your friends. 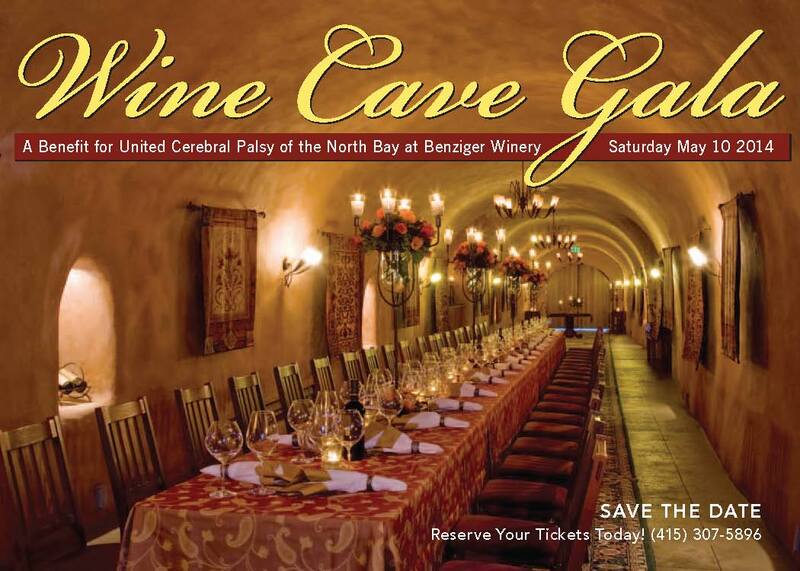 UCP of the North Bay is excited to announce our first Wine Cave Gala on May 10, 2014 at the beautiful Benziger Family Winery in Glen Ellen. This exclusive and elegant fundraising event supporting our education, employment, and recreation programs will be held in the Benziger Wine Cave with seating limited to 100 guests. Explore the vast biodynamic grounds of the Benziger Family Winery with a guided trolley tour. Enjoy Signature wine tasting, hors d’oeuvres, and socializing with wine experts in the Benziger Wine Tasting Room. Experience a five-course wine pairing dinner in the Benziger Family Wine Cave. 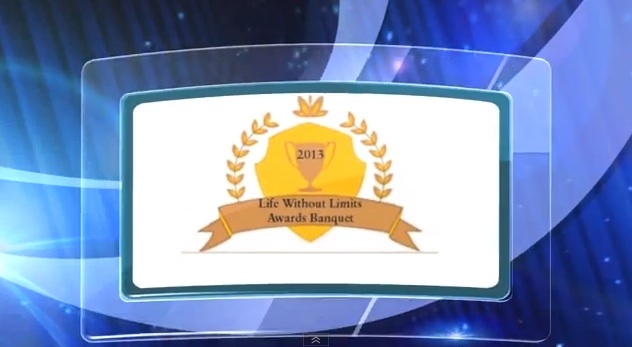 Be inspired by our celebrity guest speaker, Geri Jewell. Bid to win extravagant silent auction items. Receive a guest Swag Bag. Contact Ann Elias for more details: aelias@ucpnb.org; 415-307-5896. 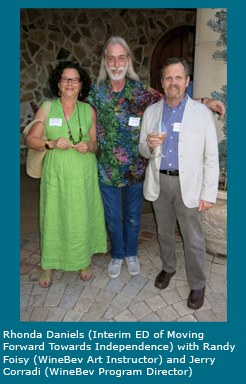 We held our annual thank you reception, Grapes & Gratitude, at Jacuzzi Winery on Thursday, September 12, 2013. Each year we look forward to this event to connect with our community and reaffirm our mission to help improve the lives of children and adults with disabilities. 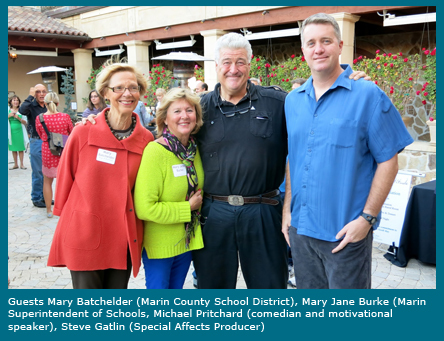 The funds raised from the event will go towards enhancing our programs and services to people with disabilities throughout Sonoma, Napa and Solano Counties. UCP of the North Bay is making a real difference in the lives of people with disabilities, their families, caregivers and the community. We were especially thankful at Grapes & Gratitude that many new and prospective supporters attended our wonderful event and are ready to join us in our advocacy efforts to protect the civil rights and improve the lives of people with disabilities. We are so grateful for our community's generosity. Recreation is the heart and soul of UCP of the North Bay. We hold six camps each summer, supporting a variety of ages and a variety of abilities. 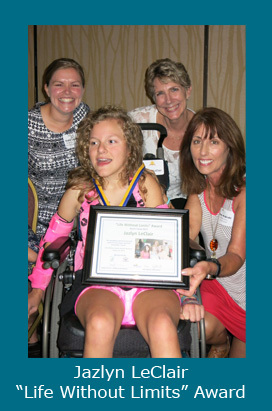 Our inspirational awards banquet was held on Thursday, August 15, honoring 12 campers from UCP of the North Bay's recreation programs. Click here to see all the camper award pictures. Click image below to watch video presentation. Old Adobe Developmental Services (OADS) has been connecting people with developmental disabilities to their communities since 1971. OADS offers employment, continuing education and senior services in Petaluma, Rohnert Park and at locations throughout Sonoma County. Since 1984, OADS has operated the Petaluma Recycling Center, a social enterprise that provides customer service and equipment operation training to people with disabilities while meeting an important community need. 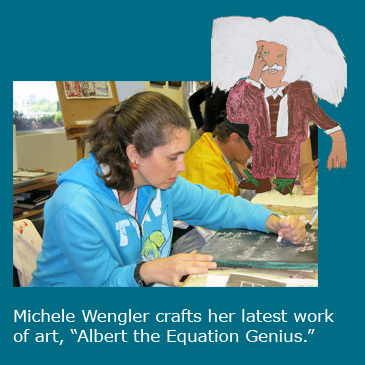 In addition to working in the OADS Social Enterprise, Michele is developing her portfolio as a working artist. She has exhibited her art throughout Petaluma as part of "Art Around Town" and participated in leading a public art workshop at the Sonoma County Museum. 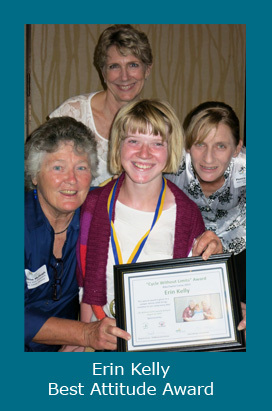 Last summer, Michele won first place and “Best of Section” awards at the Sonoma-Marin Fair. Michele’s philosophy at work and in her art is “Never give up.” She says, “Practice makes perfect. The harder you try and work at it, the better you’ll get.” Congratulations to Michele and OADS on joining UCP of the North Bay! Click below to learn more about our other Programs and Services. Are you interested in being a Board Committee Member? If you have a passion for supporting people with disabilities and creating a more inclusive community, and would like more information, contact: info@ucpnb.org.